We’re proud to announce the immediate Beta availability of .NET Core Linux! This includes .NET Core 1.1, 1.0, and .NET Core 2.0! We’re also very proud to include full Docker support for .NET Core Linux! 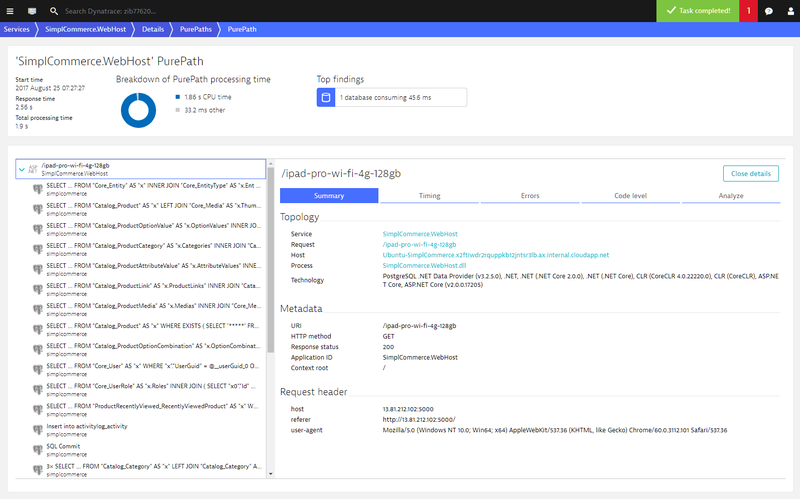 Dynatrace is the first APM vendor to support .NET Core Linux with an end-to-end tracing perspective that requires no changes to your .NET Core application. 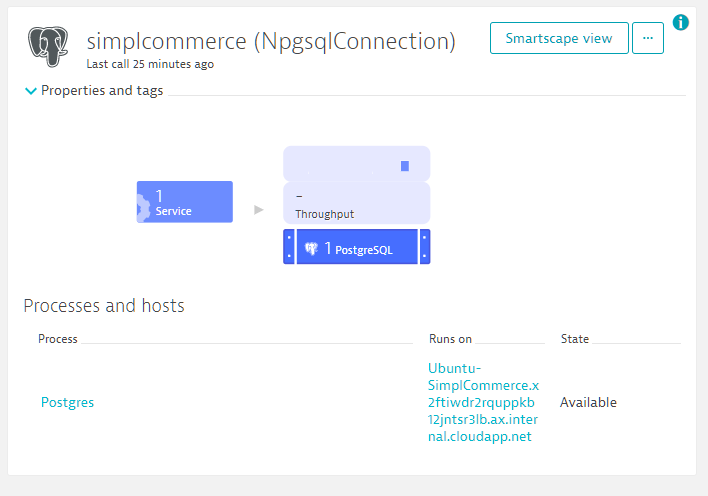 Dynatrace provides out-of-the-box support for ASP.NET Core (versions 1.0, 1.1, and 2.0). 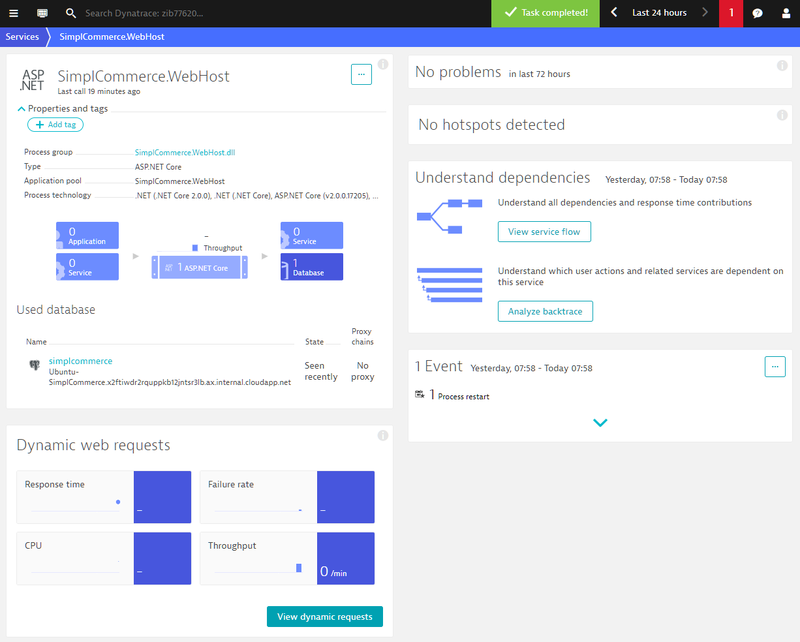 Dynatrace automatically detects deployed web applications and tracks all web requests. For each web request, you get response times, CPU usage, and locking times. 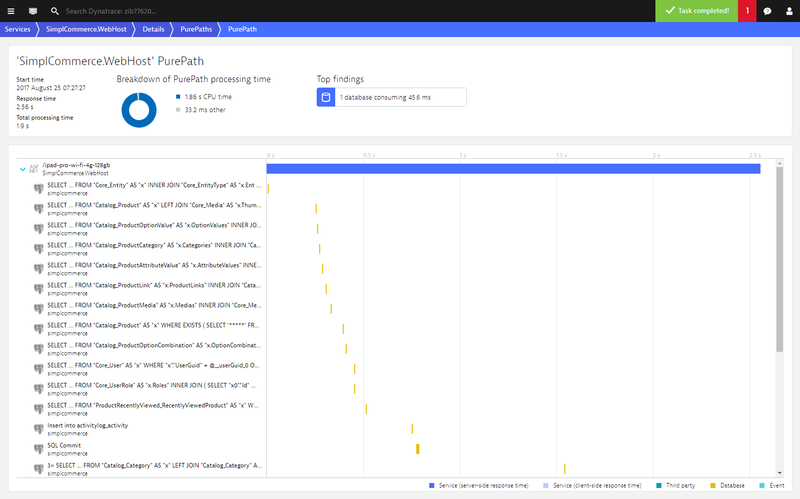 Dynatrace also detects each failed request and provides an exception stack trace that shows you the root cause of each failure. 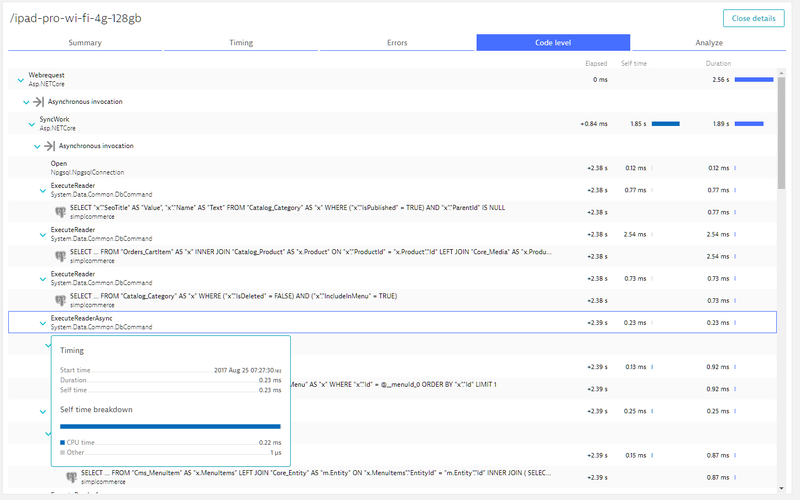 Dynatrace even enables you to analyze every single web request to understand its runtime behavior. …all the way down to the code level. 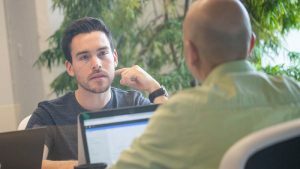 OneAgent monitors all ADO.NET-based database interactions, including Entity Framework Core. 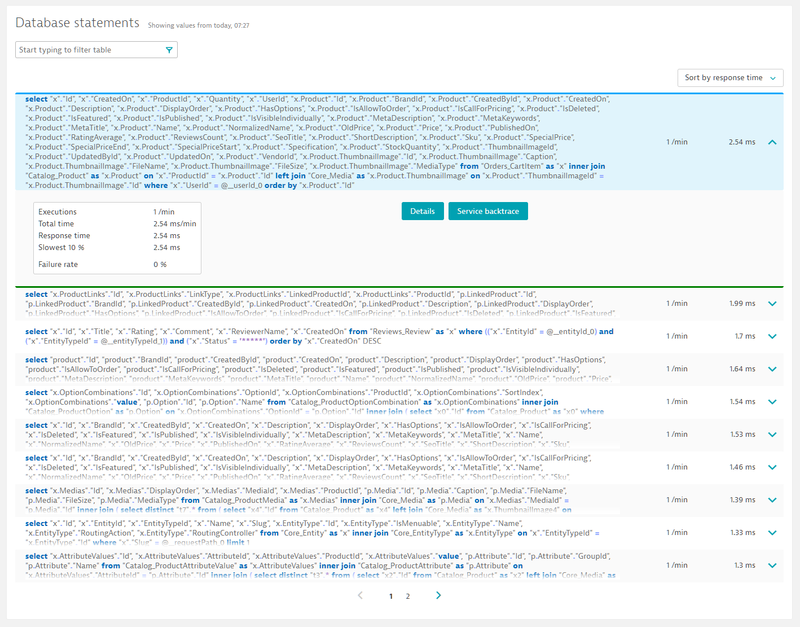 If any database statements degrade or produce unexpected errors, Dynatrace sends you an alert. 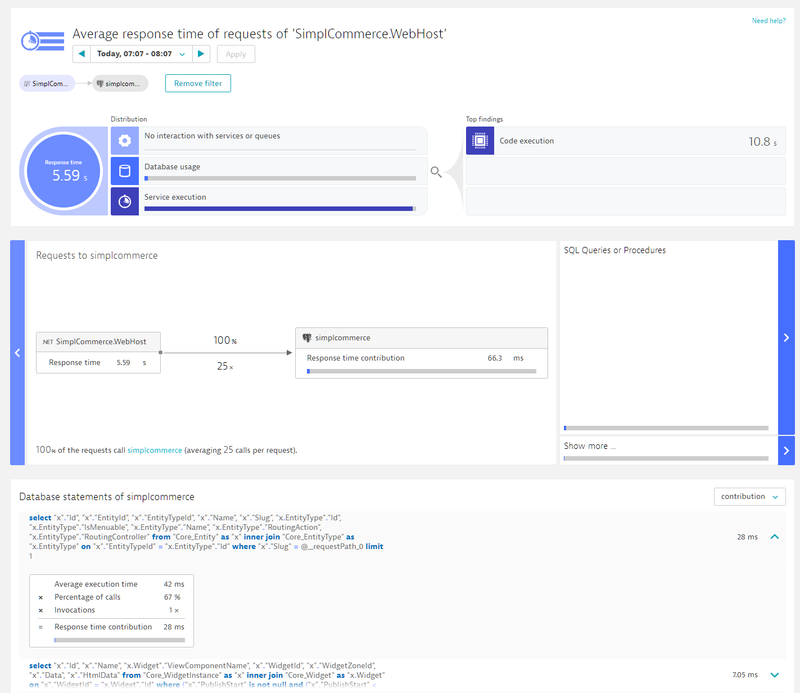 When you analyze the response time of your .NET Core Linux applications, Dynatrace tells you exactly how much response time each statement contributes to overall response time. If you’re not running a web application, but rather a standalone executable (GUI application, batch process, etc), you can specify any method in your code to act as the executable’s entrypoint. To do this, go to Settings > Server-side service monitoring > Custom services, click the Create custom service button, and set up the method as a custom service. 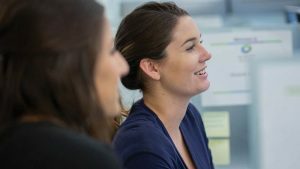 Learn more about configuring detection of custom application services. 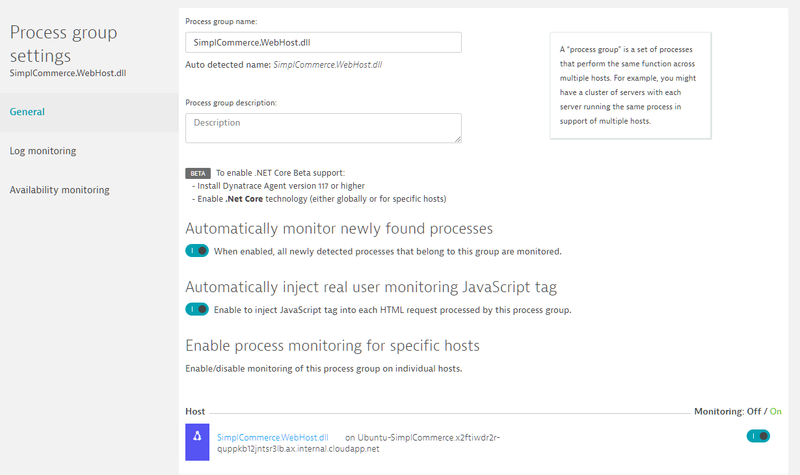 For Azure VMs, see Azure monitoring with the Dynatrace VM extension. Select Hosts from the navigation menu and then select your Linux host from the Hosts list. You’ll find all your Linux host’s processes listed in the Processes and Docker containers section of the host page, including Dockerized processes (see below). To enable monitoring for the Linux processes, set the Automatically monitor newly found processes switch to the On position (see below). 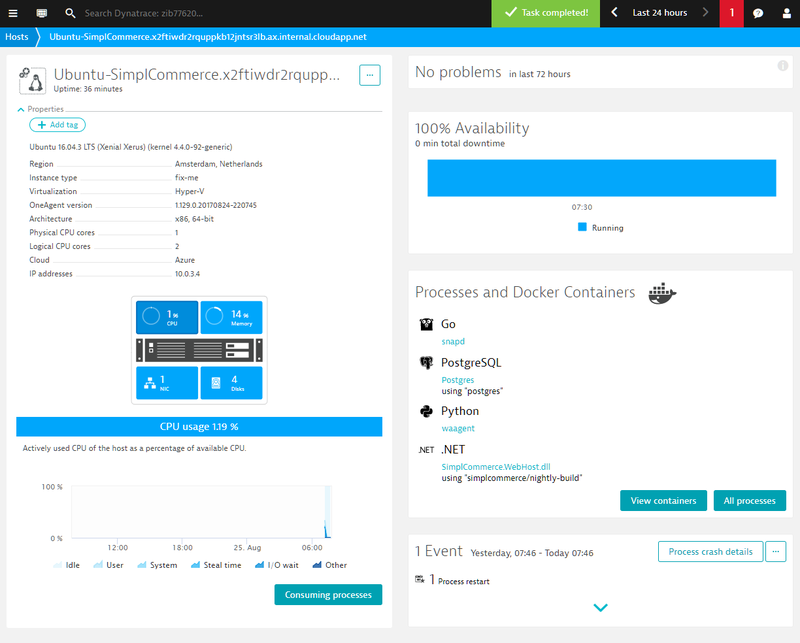 Restart the Docker container or process to inject OneAgent into the host’s .NET Core processes and begin capturing monitoring data. CLR metrics are not yet available. 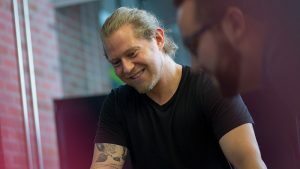 Michael is a Software Engineer, a member of the Dynatrace .NET team, and a passionate runner. 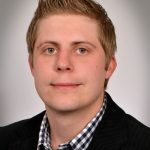 Michael has a strong background in C++ programming and has been coding .NET since v2.0.